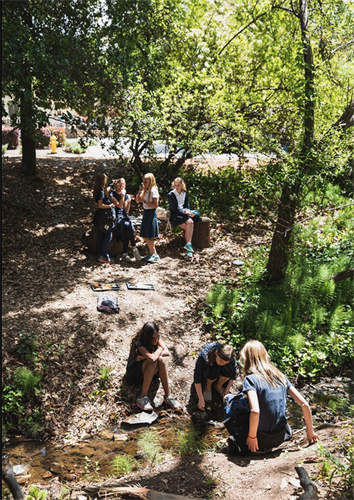 An independent school in Los Gatos since 1935, Hillbrook?s verdant 14-acre campus features rustic trails, a creek, outdoor gardens, and more. 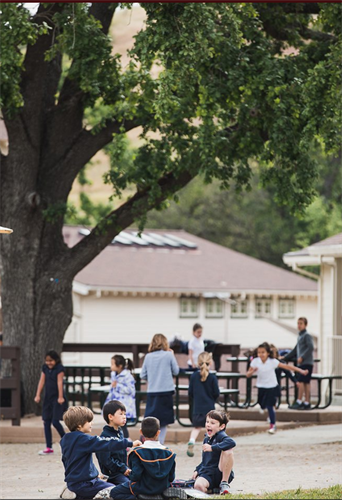 A school in and of the innovative spirit of the Silicon Valley, Hillbrook has been at the forefront of the Maker?s Movement for more than 80 years, knowing that design, engineering, risk-taking, and creation should be a core part of every child?s educational experience. 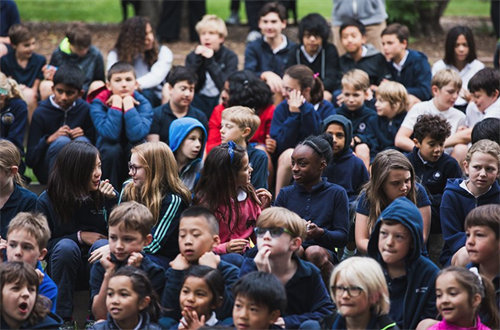 Hillbrook?s dynamic academic programs in math, science, the arts, foreign language, history, and more, highlighted by real-world learning experiences, challenge students to reach beyond, a staple of Hillbrook?s student experience. 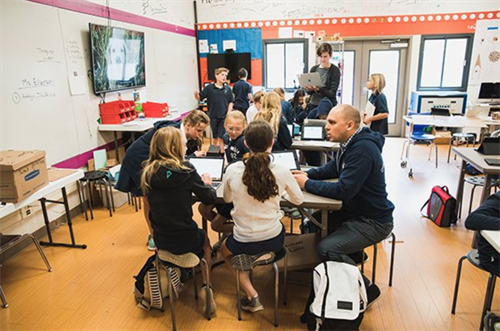 The recently-launched Scott Center for Social Entrepreneurship, the only JK-8 center of its type in the world, partners with the local community, allowing our students to be at the center of transforming their curiosities, questions, and ideas into projects that reach beyond Hillbrook. Discover a place where student choice and engagement are known, valued, and placed at the center of every learning experience. That?s the Hillbrook Way. Hillbrook is committed to promoting eco-conscious and safe alternative transportation resources. 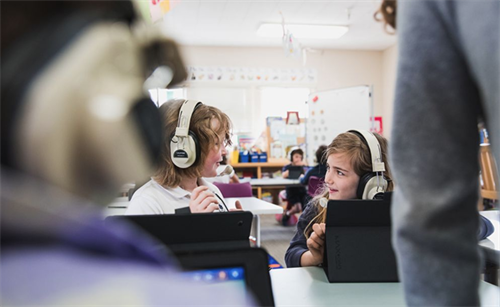 Hillbrook stands at the leading edge of best practices in educational technology and was one of the first schools in the world to introduce 1:1 iPads. Middle school science at Hillbrook is hands-on, dynamic, and engaging. 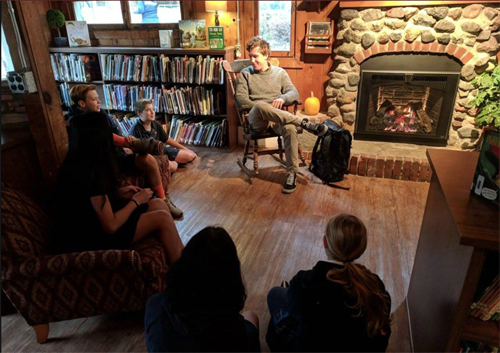 Housed within Hillbrook's Twoer, a Los Gatos historic treasure, the Reading Room features a fireplace and a charming space to read. Our students, parents, staff, and faculty gather in the amphitheater weekly during Flag to share announcements and jokes! 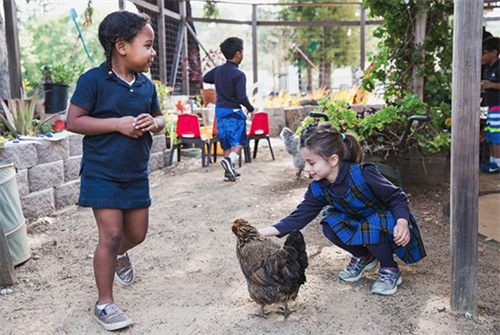 Our students take turns on "chicken duty" and learn how to care for and connect with animals and their habitats. 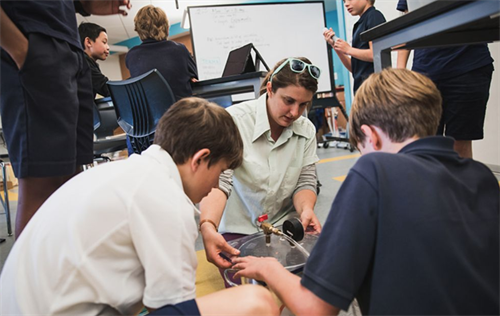 Hillbrook has been at the forefront of the Maker's Movement since its founding in 1935, knowing design, engineering, & creativity are integral to education. 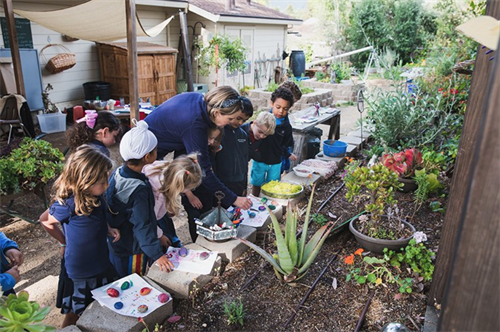 Hillbrook's campus features an array of outdoor learning spaces including gardens, a student-made orchard, and a creek. 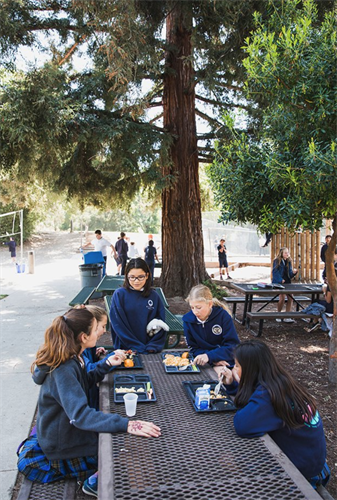 Every bit of our 14-acre campus is made for our students' exploration, growth, and inspiration. Students relax near our on-campus creek. Children connect and play during recess on the JK-2nd grade playground. Hillbrook's on-site chefs prepare home-cooked lunches. Ingredients are organic and locally sourced.